The Google Pixel XL has been the first phone with Google’s own branding and it has quickly gained user’s trust. After the Nexus lineup, Google Pixel and Pixel XL surely lived up to the hype of the best smartphone. Soon, developers gained the root access of the device which opened the the new possibilities of customization. Now that you have rooted your Pixel Smartphone, you can now try our different Apps that require Root Access or install a Custom ROM. The only thing that the Stock OS on Pixel lacks is, customization. 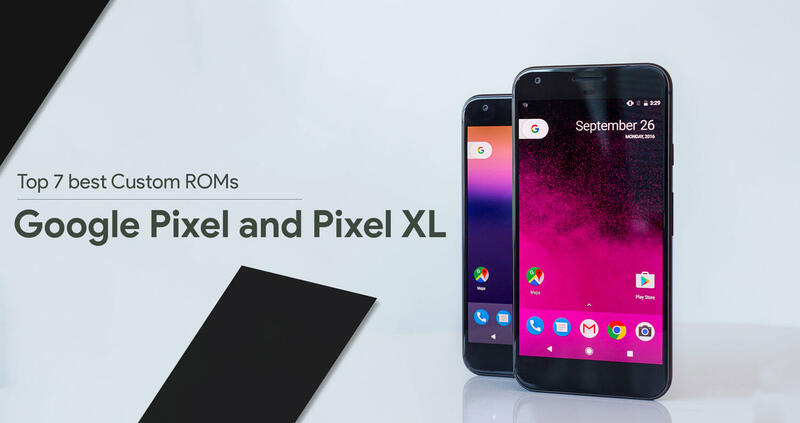 If you’re looking for Custom ROMs to customize your Pixel device but couldn’t decide which one to choose. Here, we present the Best ROMs for the Google Pixel and Pixel XL device. Backup all your data before installing any of this ROM. You can use the TWRP backup option to backup everything, or you can use Flashfire method to backup your device directly in your PC. This is one of the most loved ROMs of all time. It offers you a wide variety of customization over the top of the Pure Vanilla Android experience which we personally prefer. It doesn’t have any bloatware or unused tweaks making it really light and fast. Based on Android 7.1.1 Nougat. It includes a fully fetched theme engine. Some of the features are 3-finger swipe screenshot gesture, turn off camera shutter sound, volume key media control and a lot more! 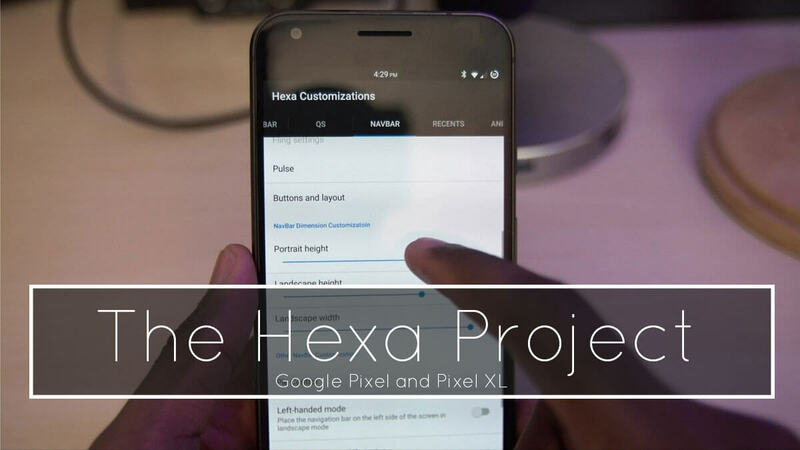 The Hexa Project is a combination of various features of different ROMs. This ROM is based on Cyanogenmod 14.1. 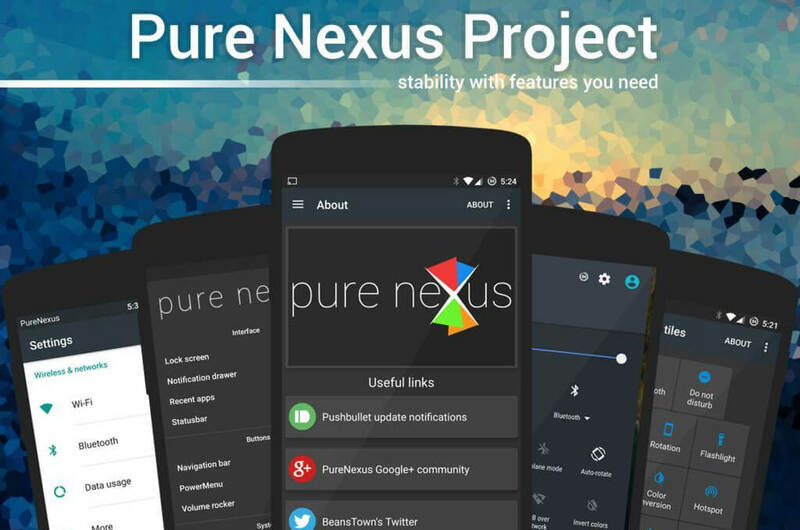 This is an unofficial ROM which has recently expanded it’s code with including the Lineage OS. It is also based on the Android 7.1.1 Nougat. Its recent updates has enabled OTA updates which makes the process of updating the ROM really smooth. It has some unique features like gestures anywhere, signature spoofing, in-built pie controls and more. WETA is a ROM developed specifically for music lovers in mind. It is based on Android Nougat as well. Its main focus is stability and Audio. It has Dolby Atmos, Beats libraries and effects, Sony Xperia Z5’s premium audio system and also includes GApps. It also disables headphone volume warning level. Bliss ROM is also based on Android Nougat 7.x and is really fast and offers wide variety of functionality and customization. These are really stable ROM that offers great speeds as well. Currently, it is in Alpha stage but is yet surprisingly stable and could be used as a daily driver. Currently is it only available for Google Pixel XL. OctOS started maintaning two ROMs in the beginning, one AOSP version and the other LineageOS based version. Soon, they decided to discontinue the AOSP version and proceeded with development on the other version. They update their ROM weekly. It is based on Android Nougat 7.1.1 as well. It is also in Alpha build stage. Carbon ROM is based on AOSP and is a super lite ROM. It has tons of features and is frequently updated. You can expect a clean bloatware-free ROM and a lot of tiny features to make your life and android experience easier. Android community really loves Resurrection Remix OS mainly due to its quality and delivery of the new ROMs. There developers are updated very frequently and provide up-to-date software tweaks and security updates. It has a theme engine and many other tweaks packed into beautiful looking Stock ROM. So, there we have the Latest and Greatest ROMs for Google Pixel XL. This post will be updated as ROM gets available. So grab your Google Pixel XL, root it and Happy Flashing!